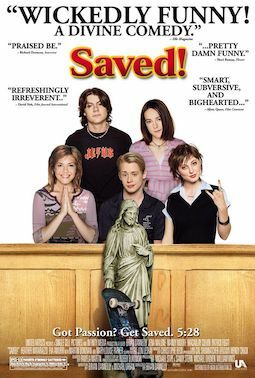 Netflix synopsis: When Mary, a devout senior at a Christian high school, accidentally gets pregnant, she starts to see her peers and her faith in a whole new way. My verdict: I’d heard of this film years ago (though I was convinced it was a musical), so I was pleased to see it appear on Netflix. I hadn’t seen Jena Malone in anything before, but she was so funny and had great comic timing. Mandy Moore was hilarious as Hilary Faye and Macaulay Culkin was so sweet. Eva Amurri seemed familiar and it wasn’t until I looked the film up on Wikipedia afterwards that I realised that she was Susan Sarandon’s daughter!